Gregory has been an online writer for a year and a half. His articles often focus on sports and pop culture. Aside from a blink-and-you'll-miss-it WWF Title reign that lasted all of six days in late 1991, the Undertaker rarely found himself in the WWF Title picture. 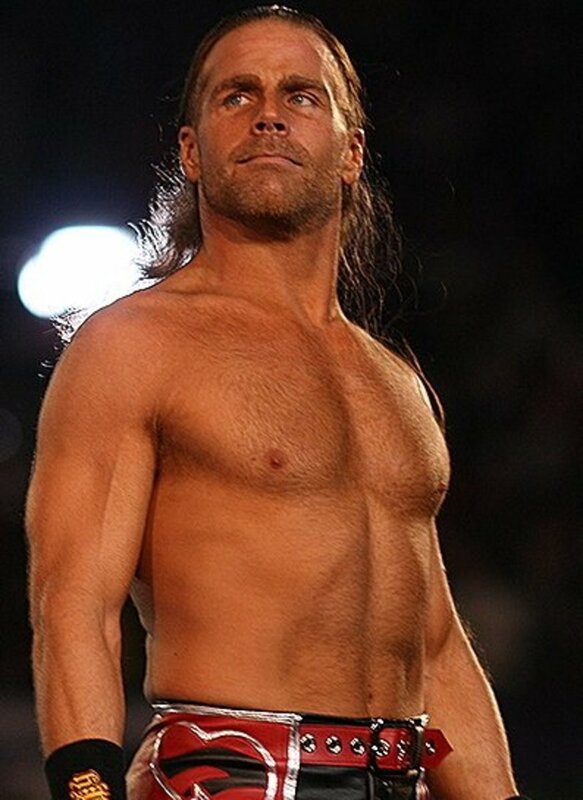 It's not that he wasn't over enough—he absolutely was—but when a wrestler is portrayed as not only unbeatable, but completely impervious to pain, it's hard to figure out a way to give him a title shot that won't look like a completely one-sided mismatch. It was the same reason Andre the Giant didn't get a WWF Title shot until very late in his career: Unless you plan on doing a screwy DQ or countout finish (that would either piss fans off or make them expect a rematch with a clean finish), he would have to lose at some point, either to the champion or when he loses the title himself. 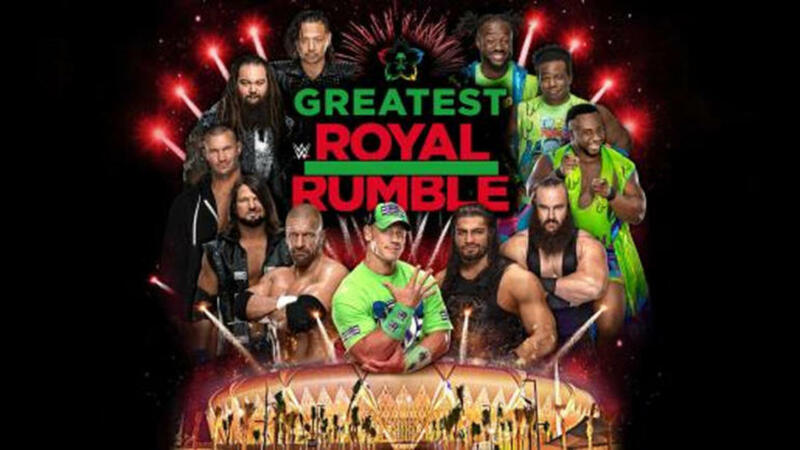 Since doing that would inevitably destroy the “unbeatable” part of the gimmick, it was always easier to just keep Andre and the Undertaker out of the title picture so the issue would never come up. So when the Undertaker was booked to challenge Yokozuna for the WWF Title at Royal Rumble 1994, nobody thought Yokozuna had a snowball's chance in hell of walking out of that match with the title. 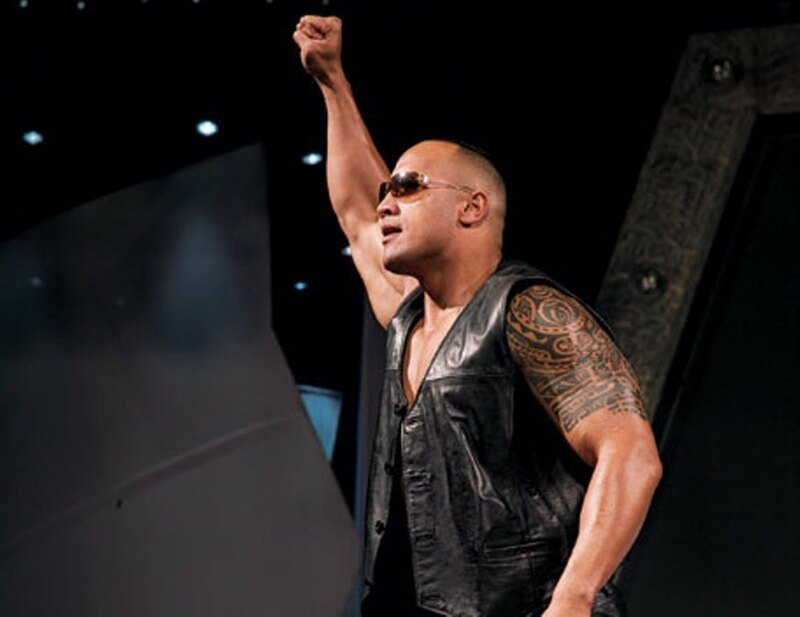 It didn't matter that he had already beaten Bret Hart, Hulk Hogan, Macho Man, both Steiners, Mr Perfect, Razor Ramon, Crush, and everyone else he had been thrown in the ring with; the Undertaker was the one guy the fans knew that even Yokozuna couldn't handle. This was before heel champions ran in fear of any and every opponent they faced. Making matters worse for Yokozuna was that the title defense would be a casket match, the Undertaker's own pet match that he had never lost. Yokozuna was deathly afraid of caskets, and for weeks leading into the Rumble, we saw vignettes of the Undertaker at his creepy workshop building the double wide, double deep casket that would be needed to hold a body the size of Yokozuna. The situation seemed hopeless for Yokozuna, but the casket match rules actually gave him just the loophole he needed to exploit to hang onto his title. Casket matches are held under no DQ, no countout rules, so Yokozuna realized that meant there was nothing stopping him from getting a few of his buddies, maybe ten or so, to come help him out. That's exactly what Yokozuna did because, as his unconscious form was rolled into the casket and the Undertaker prepared to close the lid, Crush came out and attacked the Undertaker. Then Genichiro Tenryu and the Great Kabuki joined in. And the Headshrinkers. And Jeff Jarrett. And Diesel. And Adam Bomb. And Bam Bam Bigelow. It was actually a pretty creative way to book the match, because even the Undertaker couldn't be expected to win against 10-on-1 odds, though he certainly didn't go down without a fight. 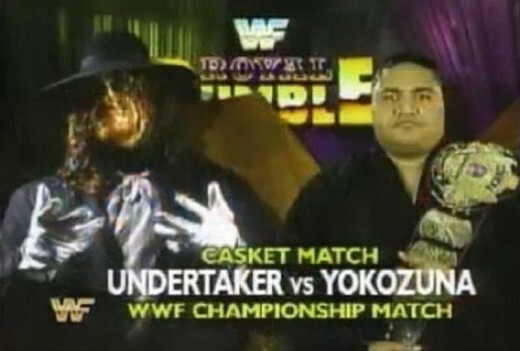 The casket match also gave Yokozuna a way to win without damaging the Undertaker's credibility by pinning him, especially since the Undertaker went down swinging. I'm shocked it took this long for someone to think of it. So you're probably reading all this and thinking it sounds pretty good so far. Well, hold onto your seats, because this one goes WAY off the rails from here on out. So the ten men have the Undertaker surrounded and are working him over in a full-on, South Bronx gang beating, but the Undertaker keeps getting up and fighting back. Realizing that the Undertaker drew his power from the funeral urn that Paul Bearer carried around, Yokozuna knocked Paul Bearer out, opened the urn, and dumped it to the mat. A strange green smoke began billowing out of the urn, and as it streaked away, the Undertaker's will to fight diminished. It seemed that the power of the urn was escaping and, without it, the Undertaker was defenseless. His indomitable will had been shattered, and the next time he went down, he didn't get up. That didn't stop Yokozuna's crew from continuing to hit him with all their finishers as he lay prone on the mat. The Undertaker was rolled to the ring apron where Yokozuna symbolically kicked him off the edge and into the casket before his crew slammed the lid shut to secure Yokozuna's unlikely victory. Now, you probably thought that the spot with the urn was the goofy part, but it gets worse. Now that Yokozuna and company had defeated the Undertaker, they decided to keep him as a trophy, padlocked the casket shut, and began rolling it to the back. I have no idea what they planned to do with the Undertaker or the casket once they got him back there, but we never found out before the bells began to toll, and the same green smoke from the urn began spewing out from inside the casket. Yokozuna and company didn't know what was going on, but didn't want to find out and backed away from the casket. Suddenly, a video of the Undertaker, apparently dead inside the casket, appeared on the video screen (this was way before the Titantron, they just had a big, square video screen next to the entryway in those days). The video zoomed up to the Undertaker's face, and then his eyes snapped open as his head jerked toward the camera that just happened to have been set up inside the casket for such an occasion. Wait, you mean all caskets don't come with built-in webcams? What are we paying for? The Undertaker delivered a poetic soliloquy about the meaning of life and death, spirits, and...well, I have no idea what he was trying to say, but it sounded deep. The point, which he got to at the end, was that he would arise reborn and would not REST...IN PEACE. 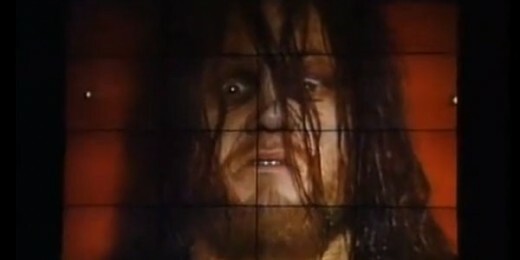 The Undertaker's eyes shut as his head again fell limp, and just like that, the Undertaker was gone. So this whole thing was pretty bad, right? Wait up, because we're not done yet! The WWF apparently decided that the Undertaker's power escaping in green smoke form, a smoking casket, and a speech from a dead wrestler inside a casket weren't enough, and that they could REALLY put an exclamation point on the whole thing by having him ascend to Heaven! After delivering his speech, the video screen began to flash as thunder sounded throughout the building. 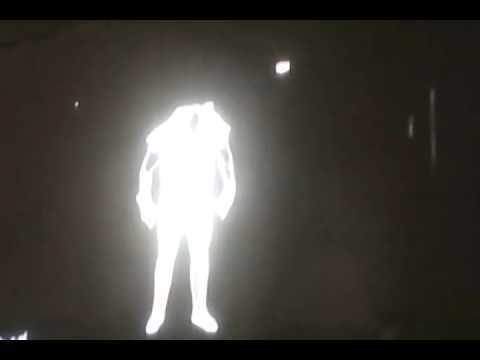 An outline of the Undertaker appeared on the screen and began moving upward, and as it did so, the Undertaker himself began to rise from behind the video screen! Okay, it was actually Marty Jannetty dressed like the Undertaker, but we were supposed to think it was the Undertaker. Regardless, he began levitating out from behind the screen and all the way up to the roof of the arena, through which he presumably passed through on his way to the afterlife. It made sense at the time, but it all seems so silly looking back on it now. When he was finally out of sight, the view returned to the casket that the Undertaker had apparently teleported out of before he began flying. 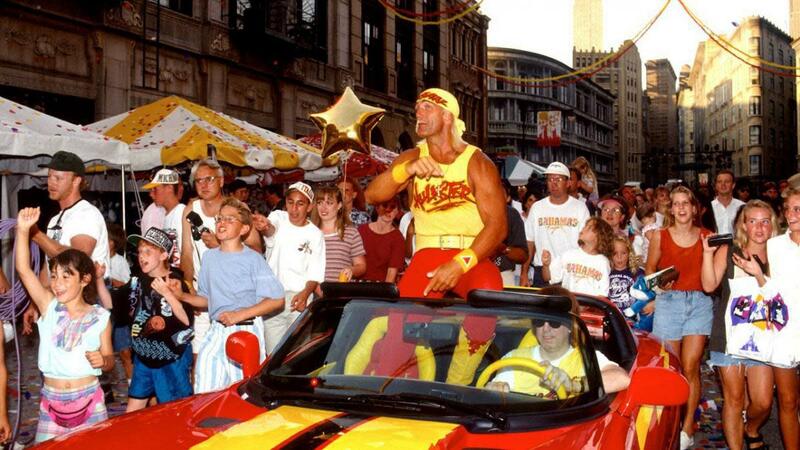 Yokozuna and his gang were nowhere to be found, and the last image we were left with was a smiling Paul Bearer, doing his “OHHH YEEEESSS!” in apparent satisfaction that, much like Obi-Wan Kenobi, the Undertaker had just become more powerful than his nemesis could ever imagine once struck down. Now, I can't speak for what anyone at the WWF may have been smoking when they thought this whole thing up, but it was a unique way of writing out the Undertaker, who wasn't seen again for many months. But if you thought this was bad, wait until you hear how they brought him back...I'll cover that next time! Thanks for reading!